Before you e-mail me, please read this.. Thank you. You are more amazing than sliced bread. Can you help me find my family member? I am not a search angel nor a professional searcher. Connecting with a search angel is the best way to get search help. 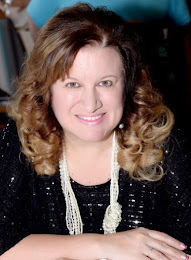 I recommend Priscilla Stone Sharp, a search angel, genealogist and adoptee rights advocate who leads the search angel network. She can put you in touch with a certified search angel, and she can be reached here. Can you advise me about DNA? I am not a DNA expert. I have undergone DNA testing, but I am going through the process just as others are, for the first time. I do have several blog posts about my experience. Everything I know about DNA is written in those posts. If you have additional questions about DNA, I would recommend you go to Richard Hill’s website, or purchase his book. You may do so, here. I am not a therapist, or licensed professional counselor. I am unable to provide counseling for those who read the blog. Many people ask me how to find a Christian therapist who truly understands adoptee issues. The way I found my therapist was to email therapists in the area with a brief email to inquire about a few things before setting an appointment. Keep going until you find a therapist who answers your inquiry in a way you are comfortable with. Bonnie Martin, MEd, CACS, LCPC is a therapist we recently featured here on the blog and concerning finding a therapist, she gives the following advice in this post: "I would advise a state licensed professional counselor who has studied complex trauma, psychodynamic theory, attachment focused therapy and/or complicated grief. Finding a good therapist is like finding a good pair of shoes. You may have to try a few on for size until you find the right fit." I am not able to schedule phone calls with blog readers. I have been contacted by many people who read a post that really speaks to them, and feel they need to have a phone conversation with me about what they are going through. I do care deeply about every person who reads here. But with the demands of my schedule, I am simply unable to do phone calls. I thank you for your understanding. Can you Skype with me? I am looking for resources to help with_________. Can you help? Before you email me about a resource or issue, please click my Resources page. Chances are I have already listed something there that speaks to your issue. Also, check out the “”Find it Here” at the bottom right hand corner of the blog with a long list of topics that may speak to your issue. It's a strong possibility that I’ve already written about it. Writing this blog and responding in the comments is THE main way I help people in the adoption community. Will you read my story and get back to me with feedback? When I first began Adoptee Restoration I had a “Submit Your Story” page. I underestimated how many stories I would receive and how long they would be. As you can see, I’ve since taken the page down. I have more stories in the queue than I am able to keep up with. This is a good problem to have, but I have to be honest, I can’t keep up! I handle everything for this site myself. I do not have an Adoptee Restoration personal assistant. I do know the importance of us sharing our stories. I encourage you to share your story! Start a blog. Get it out there! Can I write a guest post for Adoptee Restoration? Guests posts at Adoptee Restoration are by people I have developed relationships within the adoption community and approach to write on a certain topic. From time to time I may use a post of someone I do not know if it fits the current needs of the blog. You are welcome to submit a guest post and I will review it and if interested in using it in the future I contact you and let you know if and when it will be a fit. How do I contact you about a speaking engagement? For all information concerning booking for your event, go here. Please use the adopteerestoration@gmail.com address. I underestimated the volume of mail I would receive when I started this blog. I am not able to answer it all each day and most times not even each week. I do read every letter. I try my best to respond. I care about everyone who reads here, and their situations, and want to reach out and help. At the same time, I do have a life outside the blog. I am in full time ministry, travel and speak and most importantly... I have a family. My family is my first priority. Please understand that when I do respond to email, my response isn't like a blog post. Replies are short, as my time is limited.